Add some bling to your hair with some cute hair pins! 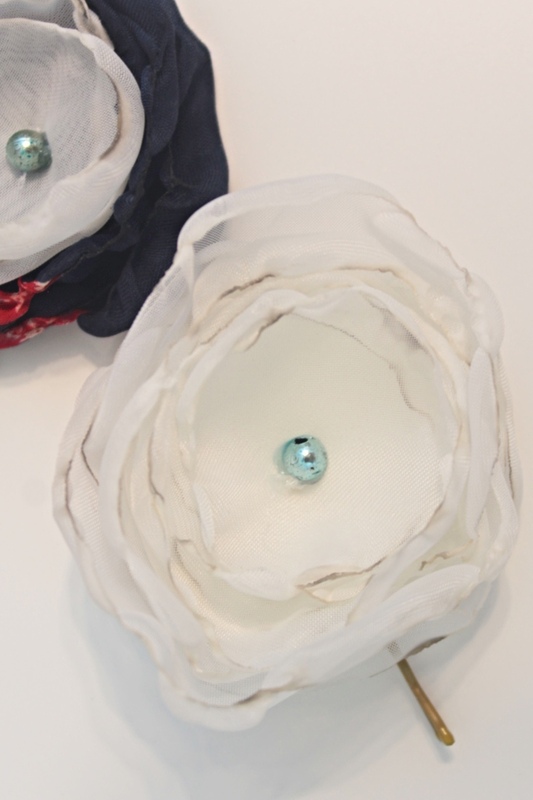 These flower hair pins are so easy and quick to make with singed flowers from fabric and regular bobby pins! Guys, I’m so in love with these adorable flower hair pins! They are the result of an accident involving a little fire but turns out it was such a nice accident! 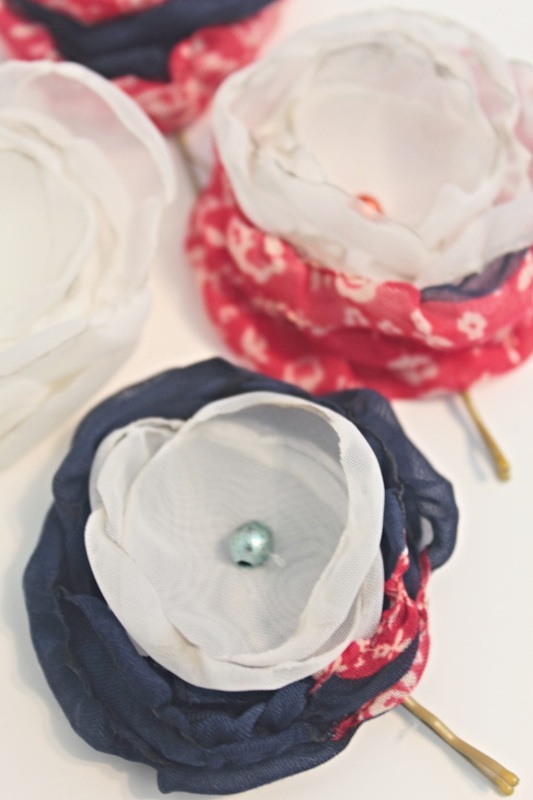 These silk flower hair pins look so cute and are perfect to spice up your wardrobe this spring without breaking your budget. I was working on a project with silk that was fraying quite a lot and wanted to try and see if I lightly singe the edge of the fabric will help me control the fraying and keep them out of my way while I work on my project. It totally did but as soon as I noticed how cool the edge of the fabric look when singed, these darling flower hair pins came to mind almost instantly! 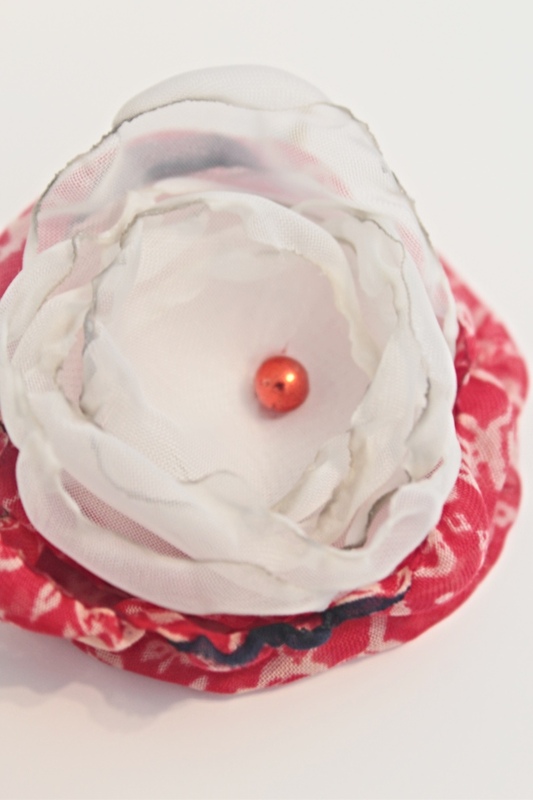 The lovely hair accessories look so good and take minutes to make, literally! Such a sweet addition to your hair this spring and summer! And are so budget friendly since you get to use scrap fabric you already own and old bobby pins that are too boring and certainly no fun to wear! 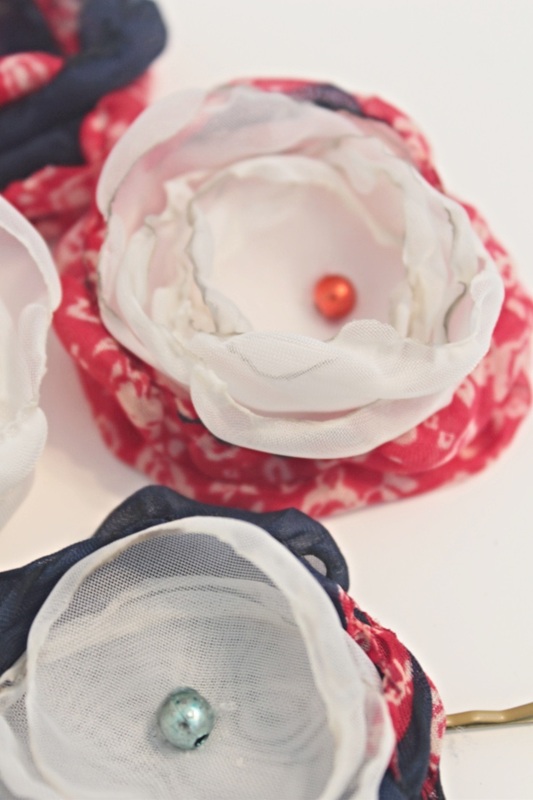 Cut out circles of different sizes from the fabric. Grab one at a time and quickly run the lighter over the edges of each circle until it curls a little and changes color. Rotate the circle as you singe the edges. Don’t over do it with the burning or the fabric might caught fire. If this happens quickly drop the circle into the bowl with water. Stack a few circles of different sized, with the smaller sizes in the middle. 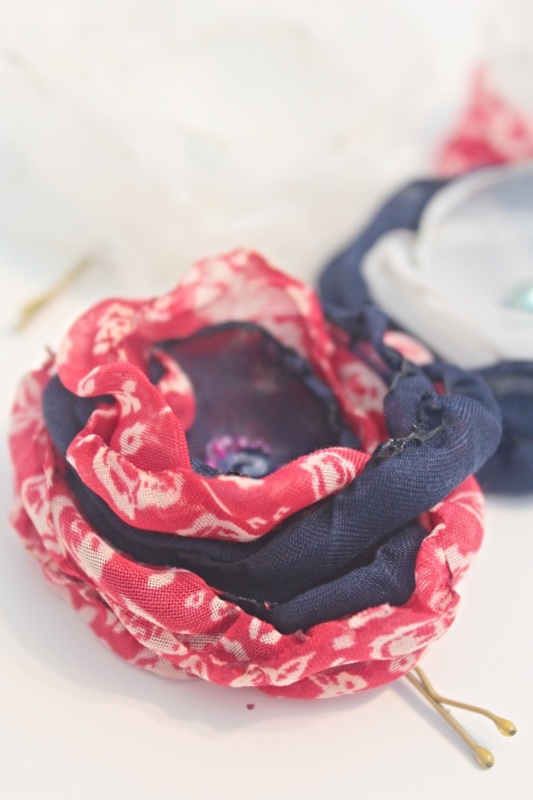 With your needle and thread, hand sew a few stitches in the middle, through all layers of petals. Glue the back of the flower to the end of a bobby pin, in the middle of the flower. You can cover this spot with a tiny piece of fabric if you wish. Allow to dry over night before starting to wear these flower hair pins.